As we discussed in an earlier blog post, Onward Vet’s cloud-based veterinary software is a good avenue for clinics that want to go paperless but don’t want the hassle of IT issues. One of the biggest benefits that it offers, though, is an interface that provides direct access to in-house lab equipment such as IDEXX VetLab Station. IDEXX VetLab Interface provides benefits to veterinarians in addition to those provided by the rest of the Onward Vet software. Here’s a brief overview of how it can streamline the processes of a clinic. Whenever a test is run on a patient at a lab, results are stored in a report via the IDEXX VetLab Station interface Additional tests and results are compiled into the same report over time, creating a cumulative representation of results and progress. This makes it easy to visualize recent results in comparison with past results, putting the progress into context. 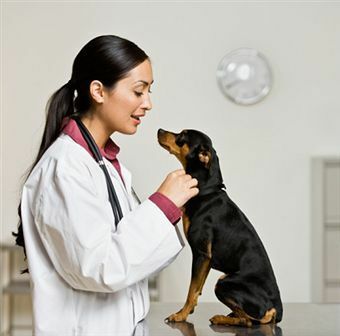 It also makes it much easier for the vet to detect abnormalities, which is better for the pet’s health. Veterinarians can view a graph of the patient’s results over time and easily detect changes so that health problems can be nipped in the bud. More time than you probably realize is wasted on data entry; often, receptionists enter the same data for the same patient more than once. Onward Vet stores all IDEXX VetLab results about a patient in its storage cloud, making it unnecessary to rummage through files, manually copy down information, and perform other tedious tasks. This is not only quicker and more efficient, it reduces the amount of errors, making the office a more productive place. The bottom line is that customers like to know that they’re visiting an organized and well-maintained office. No one wants to dread visiting the clinic, knowing they’ll have a long wait time while the receptionist digs up old records and copies down new ones. Having a streamlined management system helps to gain customer loyalty. It also provides employees with the peace of mind of accuracy – they’ll know every test result will be attributed to the right patient, since it’s done automatically. Most importantly, it’s cost-effective. It keeps track of important patient records, like prescriptions and bills, ensuring that payments are up to date. Visitors are happy with the quick and easy service, and you will never compromise profits by forgetting to collect a bill. Having such software is beneficial for clinic owners, pets, pet owners, and employees. When records don’t get lost and service is quick, everyone is satisfied and the job gets done efficiently.